Blue Light Therapy : The Best Treatment for Acne! Acne vulgaris more popularly referred to as ACNE, is a very common skin disorder these days. This disorder is characterized by multiple nodules or pustules which show up in areas such as the face, back and the upper part of the chest. The acne lesions are also called different names, from blemishes, spots, pimples, zits or just acne. There are a number of innovative and potent treatment methods available today, which include light laser acne treatment. 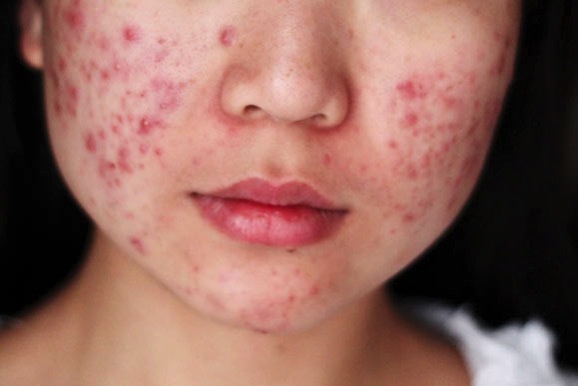 Acne is known to affect as much as 96 percent of teenagers today. This skin ailment also continues into adulthood, and is often linked to an increase in male hormones during adolescence. The condition aggravates to such an extent sometimes that there are patients that have acne on the back, neck and chest area too. For most individuals, acne however tends to wane off over time; however, it sometimes appears without warning, and there’s exactly no way to predict how long it will take for them to disappear. One of most safe, effective and hygienic treatment available these days for acne is via exposing your skin to ‘Blue Light’. What causes acne? How does is actually help? Is it the ultimate bacteria killer? Lets find out…..
How Blue Light Therapy Works? If you’re amongst those who have tried it all, ointments and medications, nasty zit popping etc etc LED Blue Light acne treatments is for you! Along with its high efficiency to provide good results it eliminates all hassles any traditional treatment. Blue light therapy has a wavelength of between 405nm to 420nm and is predominately used for its anti-bacterial benefits and hence serves as a potent cure for acne.Blue light at wavelength of 415nm is absorbed by a molecule called Porphyrin. Prionobacterium acnes; the bacterium responsible for causing acne contains large amounts of Porphyrin. When blue light is absorbed by this molecule it releases free radicals into the bacteium, eventually killing it! If you are suffering from acne then you may know that there are various causes (hormones, genetics, diet, etc.) but it always forms because of a blockage in follicles, skin organs that produce hairs. The sebaceous glands are attached to these follicles produce sebum. Excess of sebum allows the Propionibacterium acnes bacteria to propagate and form papules, nodules and other inflammatory lesions. By using blue light therapy regularly, you will be able to eliminate the bacteria and reduce the inflammation, and thus see your skin get clearer and look much better. For better results, it is recommended that you combine blue light for acne and red light therapy. Since, red light is proven to renew skin cells and thus it can reduce scars and redness caused by the inflammation. 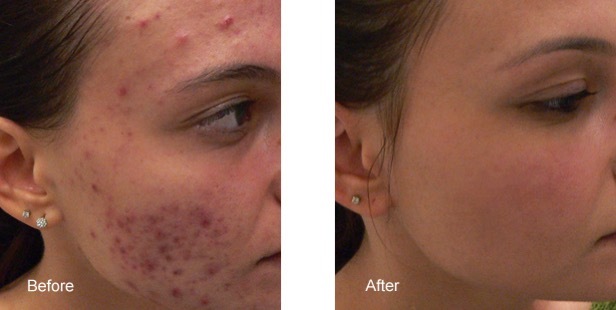 The American Acne Foundation also affirms the efficacy of ‘Blue light’ treatment to heal acne. Destroys the bacteria causing acne. Physicians affirm that blue light therapy is absolutely safe for all ages and can be used on a daily basis. Relatively quick and easy, blue light acne treatments do not cause pain or discomfort for most patients during exposure to the light, and they can also resume their normal daily activities right away following a treatment session. It can also be easily done at home using safe and easy to use ‘Blue light’ devices’. Fascinating reasons for you to choose this option for treating ‘Acne’! • Blue light is natural and not harmful to the skin and has no side effects unlike the ultraviolet rays. UV rays are not used in treating skin disorders anymore because it causes skin cancer. • Once the acne in your skin is exposed to the blue light, it causes a certain mechanism to kill the bacteria that causes acne. After several treatments, it will eventually cause the skin to clear out. There would be instances when blue light treatment is done individually while other times it is treated together with a topical medication. • The treatment lasts only 15 minutes per session. Depending on the severity of your acne problems, your doctor or skin therapist will advise you on the duration of your treatments. Usually it would last a total of 8 weeks. No lesion takes place in fact; patients would assure you that the process is perfectly painless. It can also be easily done at home using safe and easy to use ‘Blue light’ devices’. • Slight side effects can happen to patients like stinging, redness, dryness and some skin discoloration but all these are only temporary. Use moisturisers along with this treatment. • Treatment is safe for all ages. For this reason, it is FDA approved. One of the best available acne treatments is by using blue light therapy. This therapy is often recommended by dermatologists when topical creams and other methods have failed. The blue light laser treatment methods has also been approved by the US Food and Drug Administration (FDA). According to reviews made by the American Academy of Dermatology, blue light laser acne treatments are quite effective, however the academy notes that the therapy only works best for surface acne, and not for acne cysts. There are very minimal reported side effects of the laser acne treatments like dry skin, inflammation around the treated areas, and discoloration which are often mild and disappear after one to two days. Dry skin can be managed with a moisturizer. Though no reports have been made and hard to prove, there are experts say that prolong exposure to blue light laser acne treatment can cause cancer. Does vitamin D deficiency cause acne? Busting all your myths about it, the answer is NO. The cause for acne as we have discussed above, lies in infection by P.acnes bacterium. Too much of sebum (oil ) secretion aggravates the problem since this bacterium thrives on sebum. But is there any link between vitamin D and acne? What science suggests is that vitamin D is known to boost the immune system by activating the T cells, fights inflammation and also regulates certain hormones. So what we find is that low levels of Vitamin D make you susceptible to infections and hormonal imbalance that might take place and will trigger acne. Moreover, Vitamin D also suppresses sebaceous glands activity which helps to reduce the amount of oil your skin secretes thus helping to curb acne. The final verdict is that you must be keen, to get optimum levels of vitamin D. Get a vitamin dosage chart and find out the right amounts, for it will help you fight this problem, but it still cannot be said that it it is the root cause for the problem, though it is an aid to alleviate the problem! The Best thing about this Therapy! You don’t always need to depend on a professional. You can DO IT YOURSELF too. A therapy session is usually performed at the doctors office but an important thing to note is that patients can opt to have the treatment done at home, because a wide array of home-based therapy kits are easily available. Find out the best one for yourself! Infra Red Light for Pain Management: Astonishing Facts About It ! Does ‘Light’ have the power to kill MRSA? Mitigate Seasonal Depression with the Best SAD Lamps! LED Photofacial : Is it the Best Possible Solution for Skin Revival? Blue Light Therapy : Is it Safe and Effective?